The data from within the contact forms will not be used for any other purpose than to be able to respond to the queries sent via the contact form. The completed data from the form will be stored on the email server and it is required information in order to be able to respond. These data can consist of name, first name, email address, phone number, subject line, message, date, hour, IP and so forth. If you leave a comment on our website, you can opt-in for having your name and email address saved in cookies. This is for your own comfort, so that you don’t have to refill this info the next time you leave a comment. These cookies are valid for one year’s time. The articles found on this website can contain embedded content (for instance videos, images articles and so on). The embedded content from other websites behaves in the same manner as it would happen when visitors go on another website. These websites might collect data about you and use the cookies in order to embed pursuing the third parties and monitor your interaction with the embedded content in case you have an account of you authenticated on that very website. At this moment the data that we require from you in order to browse our website is not shared with third parties. If you leave a comment, the comment and its metadata are kept for an undetermined period. This way we can recognize and automatically approve all of the following comments instead of merely keeping them on a waiting list for review. If you left a comment on this website, you can ask to get an export file containing all the personal data we have about you, including all the data that you provided us with. Also, you can ask for the removal of all the personal data we have about you. These, however, do not include the data that we are bound to keep for administrative purposes, juridical or security ones. The servers which host our site are secured and protected by the latest technologies in order to keep all of your data safe. You have the right to ask us to delete your personal data that is not accurate, that does not correspond with reality. Taking into account the purposes that lie behind the processing, you have the right to complete your incomplete your lacking information. Given that your data needs to be erased in order to respect certain legal obligations. Given that you objected to your personal data being processed by us due to some personal interests, while it is being decided whether our legitimate interests that lie at the core of the processing of your data violate your fundamental rights and freedoms. You have the right to object to the processing of your data due to legitimate reasons regarding your situation, at any given moment of your processing including the activity of profiling. Following your objections, we will cease the processing of your data. We will not do this, however, if we can prove legit for the continuation of the processing, reasons that are above your interests regarding your fundamental rights and freedom, or given that continuing the processing is necessary in order to establish exercise or defend certain legal matters. At any given moment you have the right to object to the processing of your data, including those that help in the process of profiling, for direct marketing purposes. 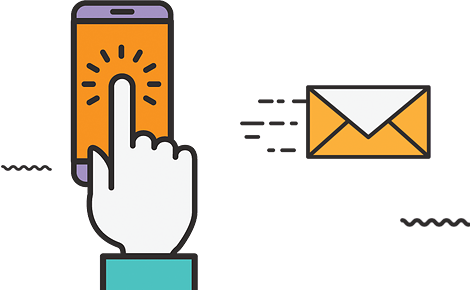 We use GetReponse for automated decision processes, for marketing purposes and you can withdraw from further data processing by clicking the “Unsubscribe” button from the lower side of each email received from us through GetResponse. Following this step, your personal data will no longer be processed for direct marketing purposes. Regarding the automated decision processes that concern you, you have the right to ask for the intervention of a human being. Under certain circumstances, you have the right to receive the personal data that you shared with us, in a structured manner, commonly used and recognizable by computers (for instance, a digital format) and you have the right to ask for the transmission of this data towards a different entity, without us presenting nay sort of opposition if the transmission is feasible from a technical point of view. Given that the reason for the processing of your data is your consent, you can withdraw your consent at any given time, without giving us any motive and without having to pay any sort of fee. The withdrawal of your consent does not affect the legal side of the processing based on your consent prior to its withdrawal. We ask you to be aware of the fact that once you withdraw your consent we will not be able to process your data and hence, we will not be able to offer you our services. Given that you consider that your legal rights regarding your personal data have been violated, you can contact us at contact@digital-life-solutions.com. Also, you have the right to raise a complaint to the local data protection authority. The relevant data protection authority in the member states of the EU can be determined, based on your residence or based on the place where the violation took place.